As you’ve seen, I’ve been doing the challenge out of sequence and so I’m getting to some of the topics I didn’t have an immediate answer for now, not that I’m a natural procrastinator or anything *cough*. 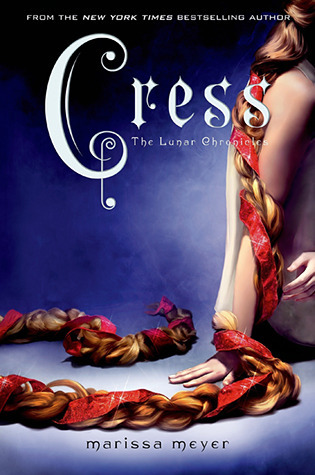 Last night I was trawling through Amazon trying to find something and saw that Cress, the latest book in the Lunar Chronicles by Marissa Meyer was out – and as I tapped the button to ‘Buy’, I realised that I had the answer to this question. I didn’t read as many books last year as I did in 2012 – less than half the seventy odd I’d done the year before. Partly because my work life was quite busy, and partly because I was trying to get my own writing done, which funnily enough you can’t do both things at the same time. 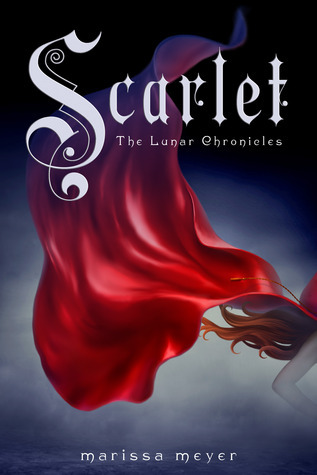 But, when I was reading the last few pages of Scarlet, the second book in the series I knew that I would be buying the next as soon as my grubby little cyber mitts could get it for the Kindle! 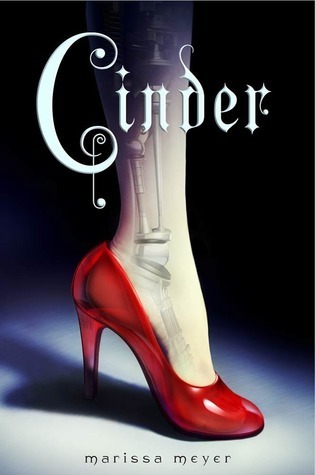 I enjoyed Cinder, when I read it in 2012 – and the artwork for the cover was the best of them so far – perfectly blending the sci-fi with the fairytale it was adapted from. The premise of Cinder was great and I really enjoyed it (4* review), but for me it really came to life in the second half of the book. After this ending, Scarlet was high on my to-read list and when I got to it last year I was really impressed with the next ‘fairytale’ in the series, which stepped a good distance away from the first book and showed you other parts of the world Meyer set up in Cinder, without focusing on those characters. Scarlet and Wolf were a great combo and I suppose if Cinder showed you the upper circles in society of the Earth of the future, Scarlett took us to a different country and showed us what life was like for the majority of people. Then throw in a dash of dystopia with the oppressed, ordered people of Lunar, apparently planning to take over Earth and the stage is set for something big – I hope! This entry was posted in General and tagged 30-day challenge, best book of 2013, Cinder, cress, melissa meyer, Scarlet, sci-fi fairytale on March 22, 2014 by mel.